Magnetic pieces will adhere to these Magnetic Plastic Framed Whiteboards. Dry erase markers wipe cleanly from the surface. 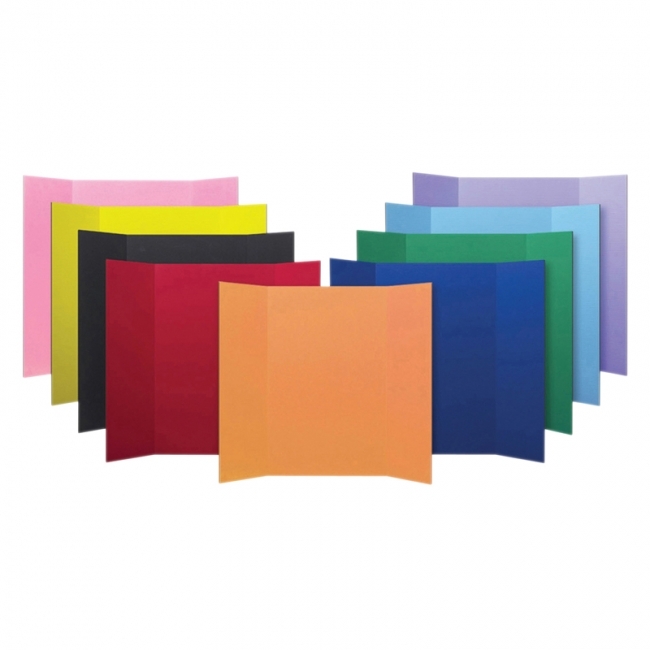 Plastic frame is ribbed for easy grasping and has rounded corners for safety. 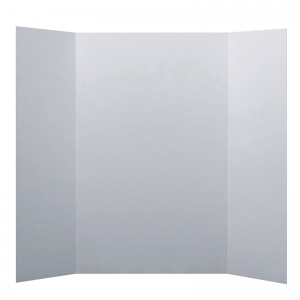 Large 9-1/2" x 13" (24 x 33cm) size is great for individual or small group use. Set of 4 in red, yellow, green and blue. 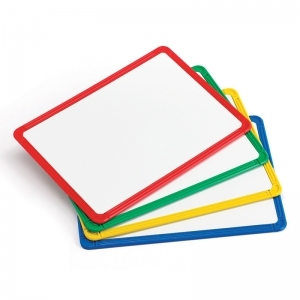 These boards do double-duty allowing magnets to stick to the board for patterning and other activities and whiteboard feature allows students to write with dry erase pens to save paper. These lapboards are perfect for an on-the-go travel activity or for use when desks or tabletops aren't accessible. Constructed from 1-ply corrugated fiberboard with overlapping side panels that make transporting the board easy. The smooth bright white surface has a matte finish that easily accepts markers, crayons, paints and adhesives. Back of board is brown kraft. Measures 36" high x 48" wide overall—side panels measure 36" high x 12.75" wide and the center panel measures 36" high x 22.5" wide. Constructed from 1-ply corrugated fiberboard with overlapping side panels that make transporting the board easy. The smooth, bright color surface has a slightly glossy finish that easily accepts markers, crayons, paints and adhesives. Measures 36" high x 48" wide overall, side panels measure 36" high x 12.75" wide and the center panel measures 36" high x 22.5" wide. Color assortment includes 2 each green, yellow, orange and 3 each red, blue, black, sky blue, pink and purple. Back of each board is brown kraft. Made in USA. Ghent's Non-Magnetic Whiteboard is an affordable alternative to porcelain and painted steel whiteboards. The environmentally friendly clear coat writing surface writes and erases beautifully with the proper care. The dry erase surface is laminated to ¼" hardboard to provide additional durability for use in your home, office or institution. Each board comes in our sleek Satin aluminum frame. Our boards are shipped to you in Ghent's worry-free packaging, designed specifically for shipping whiteboards. 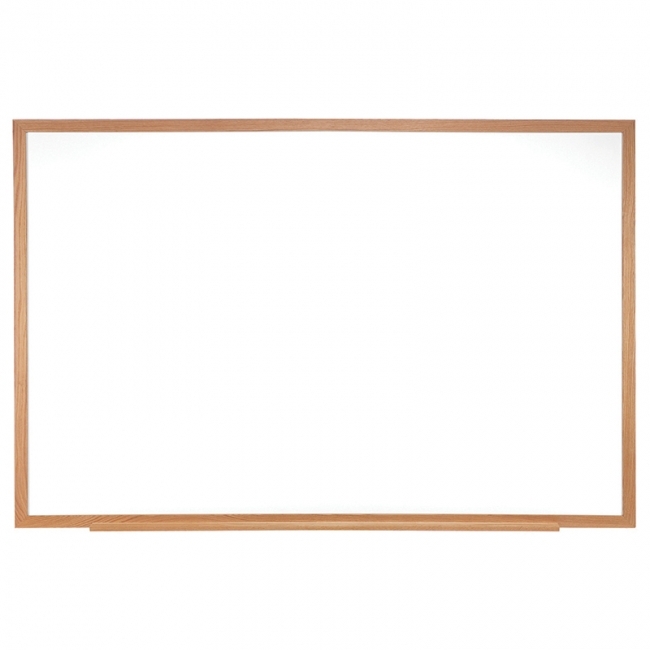 Ghent's Non-Magnetic Whiteboard carries a 10-year warranty, is 100% biodegradable and made in the USA. Measures 24" x 36". Ghent's Non-Magnetic Whiteboard is an affordable alternative to porcelain and painted steel whiteboards. The environmentally friendly clear coat writing surface writes and erases beautifully with the proper care. 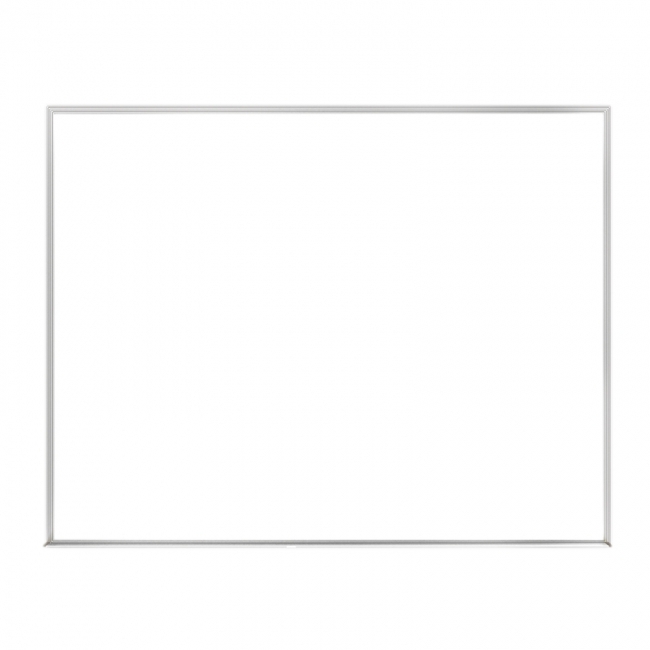 The dry erase surface is laminated to 0.25" hardboard to provide additional durability for use in your home, office or institution. Each board comes in our handmade wood frame. Our boards are shipped to you in Ghent's worry-free packaging, designed specifically for shipping whiteboards. 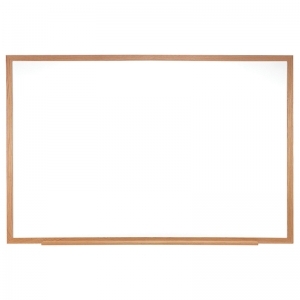 Ghent's Non-Magnetic Whiteboard carries a 10-year warranty, is 100% biodegradable and made in the USA. Measures 18" x 24". Ghent's Non-Magnetic Whiteboard is an affordable alternative to porcelain and painted steel whiteboards. The environmentally friendly clear coat writing surface writes and erases beautifully with the proper care. 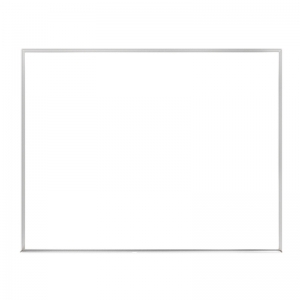 The dry erase surface is laminated to 0.25" hardboard to provide additional durability for use in your home, office or institution. Each board comes in our handmade wood frame. Our boards are shipped to you in Ghent's worry-free packaging, designed specifically for shipping whiteboards. Ghent's Non-Magnetic Whiteboard carries a 10-year warranty, is 100% biodegradable and made in the USA. Measures 24" x 36".